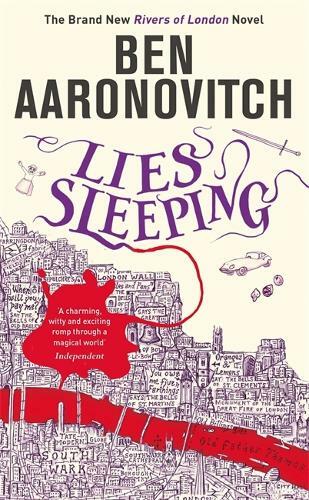 Waterstones Birmingham are very excited to invite you to an evening with Ben Aaronovitch who will be discussing his latest novel, Lies Sleeping. But even as the unwieldy might of the Metropolitan Police bears down on its foe, Peter uncovers clues that Chorley, far from being finished, is executing the final stages of a long term plan. A plan that has its roots in London's two thousand bloody years of history, and could literally bring the city to its knees. Ben Aaronovitch grew up as part of a famously engaged and lively North London family. He has written for many TV series including Doctor Who and been a bookseller. His Peter Grant novels have been hugely successful and he now writes full time. He still lives in London, the city he likes to refer to as 'the capital of the world’. We hope you can join us for this wonderful evening. Tickets cost £3 and are available online.